A special round of applause is due this mini-sub for music lovers. The new T/7i is even faster and tighter than its forbear, yet remains tonally supple, with well-defined timbres. It’s also remarkably potent for a single, forward-firing 8" driver augmented by a quick-reacting, downward-firing 10" passive radiator (and a smooth 200W Class AB amp). The sumptuous high-gloss lacquered enclosure with aluminum accents has inputs for high-level Neutrik Speakon (cable included), plus low-level RCA and LFE. A little classic. Though not the only wireless subs available, the Syzygys incorporate useful advanced technology at an excellent price. By using your smartphone as the set-up computer, the Syzygy app equalizes the subs in the room; once their response is flat, they are easy to blend with the main speakers. And once dialed in, they just work without having to diddle. A seamless transition from reviewer Vade Forrester’s main speakers to the subwoofers made the SLF870s sound like a continuous extension of his mains. VF wondered whether the wireless connection might cause dropouts, but after carefully monitoring the sound to detect any possible problems, he found no issues. That’s how technology should work. Very highly recommended and a great value for the price. Almost impossibly small but packing dual active drivers and twin passive radiators plus 1500W of Class D DSP-controlled power, the little X captures the realism of the concert hall, imparting a well-anchored foundation that extends into the low-30Hz range (even touching the upper 20s). Bass is full-bodied and controlled, and exhibits the requisite bloom and resonant sustain expected of a subwoofer in the bottom octaves. 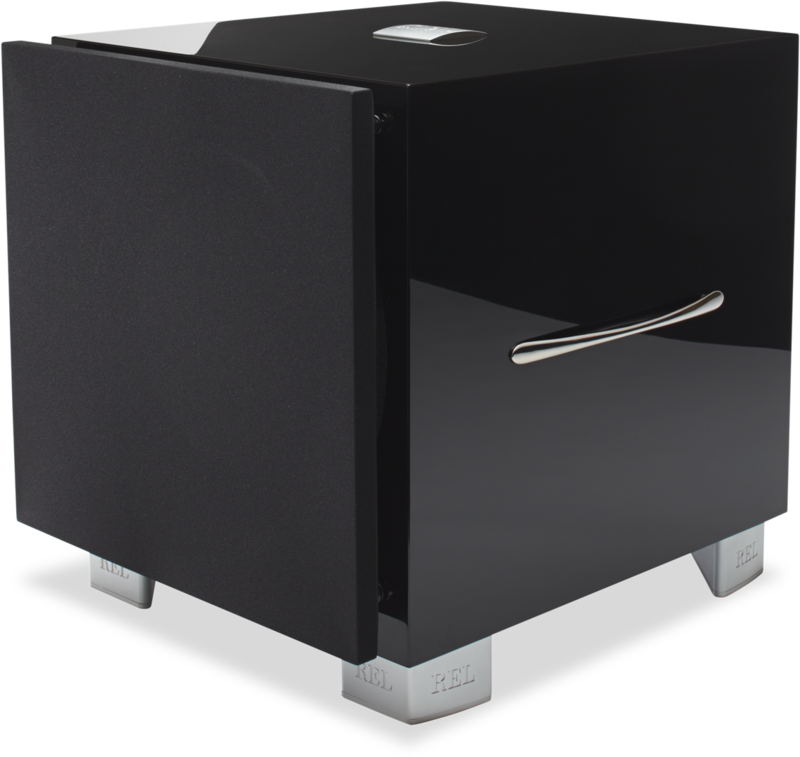 Not just for the classical or jazz aficionados, the SuperSub willingly hits the dance floor with all the right moves—rhythmic output, speed, and punch that belie its modest dimensions. It will mate superbly with a wide range of compacts and smaller floorstanders and fit into almost any room. Home cinema anyone? You betcha. A subwoofer of estimable shock and slam and musical subtlety that’s also a bargain to boot. 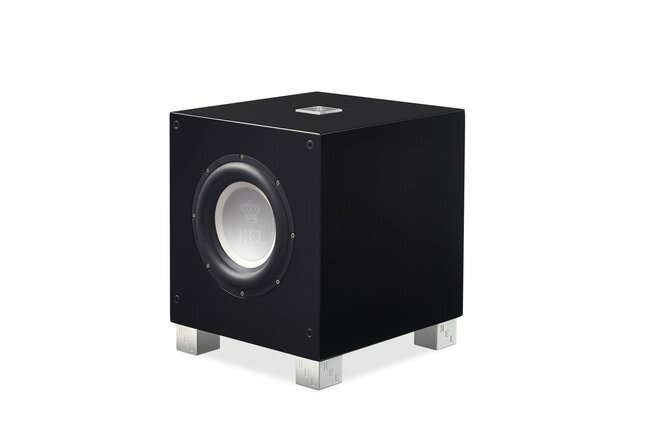 Before he got this hefty little cube (with 10" driver) from JL Audio, JV was anything but a fan of subwoofers, which always seemed to take more away in midrange transparency, tone color, and resolution than they paid back in bass-range extension, detail, and power. Crossed over at the right frequency—which is easy to do with the instructions that JL provides and the e-Sub’s manifold built-in controls, including a genuine fourth-order Linkwitz-Riley high-pass/low-pass crossover—the e110 is the very first sub he’s heard that doesn’t screw up the sound of the main speaker. Rather it seems to extend that sound into the bottom octaves, producing some of the highest resolution of bass timbres and textures he’s heard from any transducer. Driven by its own 1200W Class D amplifier and capable of extension into the mid-to-low twenties, the e110 is a powerhouse with uncommon grip and definition. Paired with something like a Raidho D-1 stand-mount it will give you everything (save for dynamic range and overall impact) that you pay the big, big bucks for in a massive multiway floorstander, and it will do so for a mere $1500 ($1900 for the e112 12" version). Sandy Gross, the owner of GoldenEar, is legendary for extracting big sound from reasonably priced products. The SuperSub XXL is a case in point. 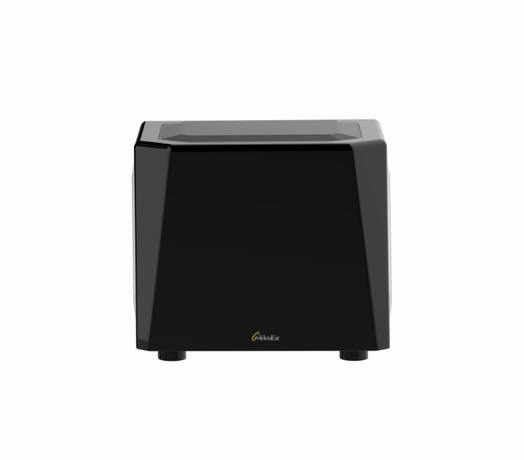 Gross has crammed an astounding amount of technology into this fairly diminutive subwoofer, including a 1600-watt digital amplifier that is controlled by a 56-bit DSP device with a 192kHz sampling rate. Add two 12" long-throw active drivers and two infrasonic drivers, and you’ve got a recipe for a powerful, bone-crushing sub. 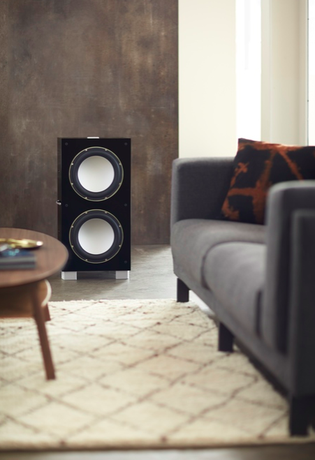 No matter the source material—rock, pop, or classical—the XXL will deliver a deep and tuneful foundation that helps to create an airier and wider soundstage. Timpani and drum whacks emerge with authority from black backgrounds. There are faster and more powerful subwoofers out there—at three to four times the cost. It is also important to note that the XXL only accepts single-ended inputs. But the XXL will never produce less than satisfying performance in almost any audio system. The Swarm is a subwoofer system with four subwoofer enclosures powered by a single high-powered amplifier, the four being connected in a series-parallel configuration. Placed suitably, the four subs make possible a remarkable uniformity of bass response over a considerable area, following acoustic ideas originated by Earl Geddes and later seconded by Floyd Toole. This statement of fact hardly does justice to the positively enveloping sound one obtains. The room around is all but erased and the acoustic signature of the recording venue, which is carried in so large a part by the bass, is revealed, nay experienced directly, to a startling extent. The prospect of having four subs in a living room is less daunting than it might seem—each sub can be placed with its driver facing the wall, at which point the sub looks like a rather elegant, if solid, end table. 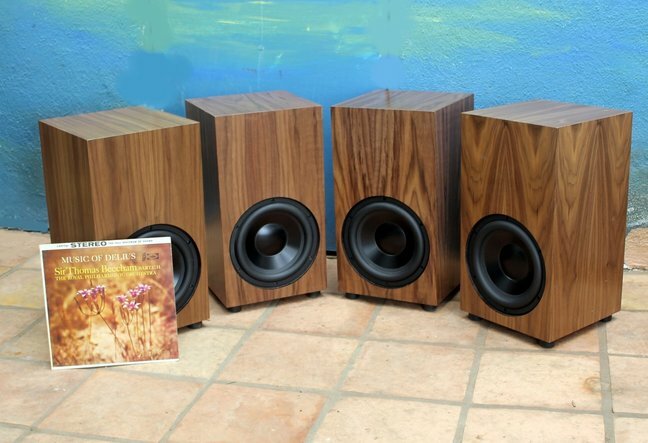 This type of system is the future of bass reproduction in REG’s view, and the price here is extremely reasonable as well. The extraordinary thing about REL’s latest effort is that it buries once and for all the old wives’ tale that only small subs excel off the line and disappear as sound sources. Fact is, the S/5 is big—a 12" woofer with companion 12" downward-firing passive radiator with 500 Class D watts to provide the fireworks. Its bass extension is terrifyingly deep; yet it has the delicacy and dexterity to become one with the music, from the deepest fundamentals on up, doing so without coloring the character or reducing the transparency of even the most highly resolved system. Though they used to be relatively plentiful in the 60s, 70s, and 80s, outboard active analog crossovers are scarce on the ground nowadays. 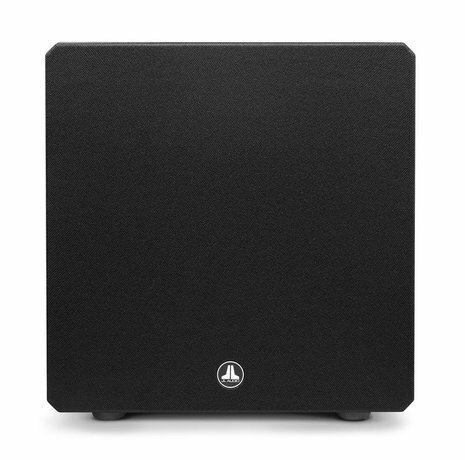 Which is why JL Audio’s CR-1 outboard active analog subwoofer crossover comes as such a surprise. You’ve got to hand it to Brett Hanes and his fellow engineers at JL Audio: They are serious about subwoofing, and the CR-1, which took years to perfect, is a serious effort to optimize the interface between your main speakers and your subs. Built around two banks of extremely high-precision Linkwitz-Riley low-pass and high-pass filters, the CR-1 gives you an entire toolbox of controls that allows you to dial-in the hinge frequencies, slopes, output, and damping (Q) of both the mains and the subs. Though JV has never loved outboard crossovers because of the price they so often exact in transparency, resolution, and dynamic range, the CR-1 appears to be an exception. It is highly transparent, and the improvements the CR-1 can make in achieving a truly seamless blend through the crossover region are considerable—and quite audible. These two subs—identical except for woofer size (12" vs. 13.5") and amplifier power (1800W vs. 3000W)—raise the bar in subwoofer performance with their unlikely combination of brute-force power and tonal and dynamic finesse. Capable of delivering high SPLs at very low frequencies without strain, the Fathoms are adept at resolving the pitches, dynamics, and timbre of an acoustic bass. Loaded with useful adjustments, including low-pass filter, polarity, variable phase, and ELF trim. Built-in DARO room correction, considerably upgraded in the newer v2 models, greatly smooths in-room response and makes for easier integration with your main speakers. Reference-quality performance at a reasonable price. 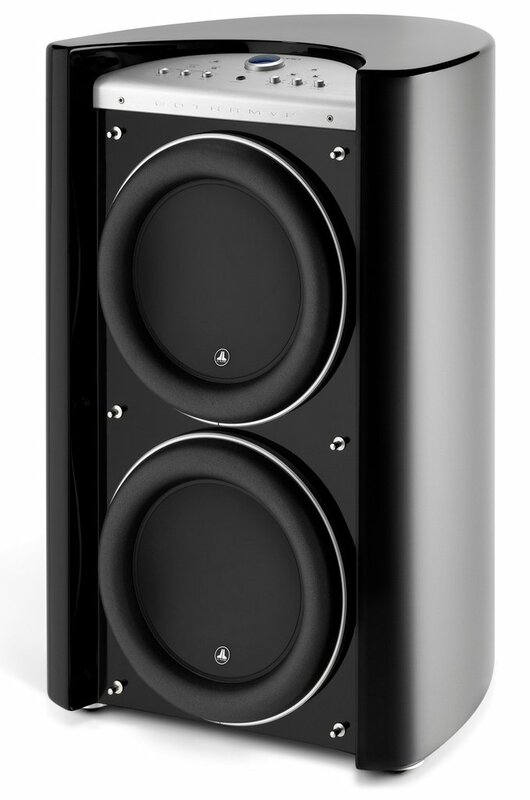 The REL 212/SE was designed to offer clean, prodigious deep-bass output at a reasonable price. In a beautifully finished piano-black cabinet, each 212/SE houses two front-facing 12" drivers made of continuous cast alloy and capable of an astounding 2" linear excursion. 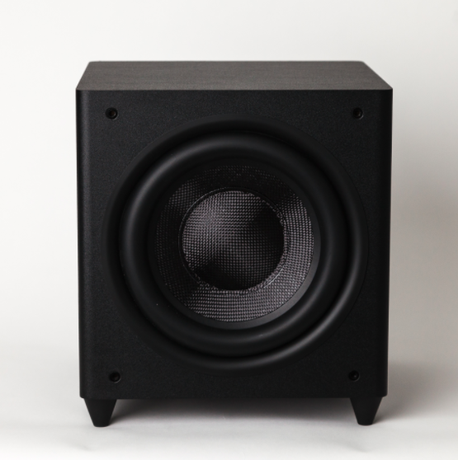 The bass drivers are driven by an onboard Class D amplifier rated at 1000 watts. 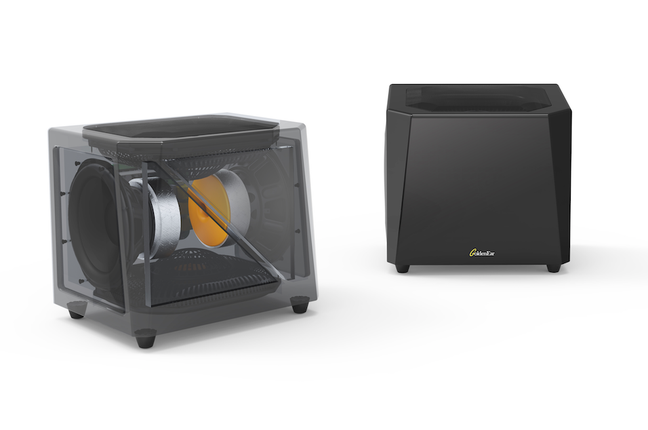 Each cabinet also contains a back-facing 12" passive radiator and a downward-firing 12" passive radiator, both made of the same alloy material. 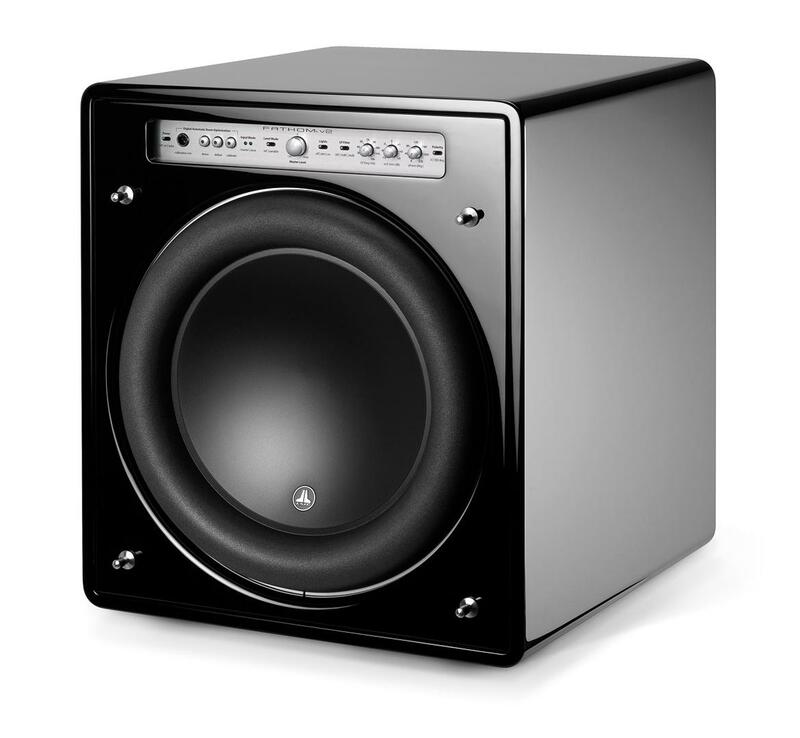 In use, the name of the game for this subwoofer is speed, speed, speed, with negligible distortion. Because of that speed, reviewer Don Saltzman found it was much easier to mate the 212/SE with full-range loudspeakers. Basically silent until called upon for action, a pair of 212/SEs will radically increase the perceived sense of air and space of almost any recording. At the same time, definition is precise and output capabilities are immense, adding enjoyment to listening to everything from jazz and orchestral music to the most intense effects-driven movie soundtracks. This gigantic $15k subwoofer with two 13.5" drivers has simply redefined subwoofing for JV. Never a fan of subs, he’s been turned around by this wonderful product, which in combination with JL’s CR-1 crossover, is capable of a more seamless blend with main speakers (be they two-ways, panels, or multiways) than anything he’s yet heard (in fact, than anything he imagined possible), with next-to-none of the midrange veiling—the loss of resolution and transparency—that was inevitably part-and-parcel of subwoofing in the not-too-distant past. What the Gotham does is open up an entire new world of loudspeaker possibilities, wherein smaller and/or less expensive mains can be made to sound a whole lot like Wilson Alexandrias or Rockport Arrakis or Magico M6s, for a lot less dough. JV’s reference.